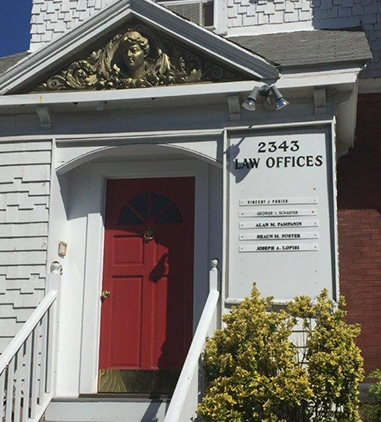 At the Law Office of Joseph A. Lopisi in Cambridge, Massachusetts, I have more than 40 years of legal experience serving businesses, banks, mortgage companies, and individuals throughout the Greater Boston area including, but not limited to, Middlesex, Suffolk, Essex and Norfolk Counties . Throughout this time, I have maintained a firm commitment to providing clients with up-to-date legal information, support, and advocacy in a professional manner that meets their legal needs effectively, expeditiously, and at a reasonable cost, including published flat fees. If you are in need of excellent legal advocacy and responsive service from a reputable, experienced attorney, contact my law firm today. I offer free telephone consultations, or, if necessary or desired, free half-hour office consultations. I proudly provide each client with personal service, giving them my fullest possible personal attention. Because my office is located outside of Boston proper, I am able to give you that close personal attention while offering competitive fees that are lower than those charged by the “big-city” firms.I believe that my clients take their needs as seriously as I take my law practice. I remain on top of every legal development in my practice areas. I represent numerous banks and mortgage companies regarding their financing of residential real estate purchases and refinancing of current mortgages. I also act as a title agent for First American Title Insurance Company. Personal attention, responsiveness, and accessibility are at the core of my practice. I will do everything necessary to keep you informed about your particular real estate transaction and help you make decisions that help you obtain the best results regarding your particular real estate transaction in a manner that is both timely and cost-effective. My office is located in North Cambridge on Massachusetts Avenue, 1/2 mile from the Arlington town line. For knowledge, experience, and personal service from a real estate attorney you can trust, contact the Law Office of Joseph A. Lopisi today for a complimentary initial telephone conversation. I always return phone calls the same day, and I am available from 8:30 a.m. to 6:00 p.m., Monday through Friday. I also provide my clients with my cell phone number so they can reach me after hours and on the weekends if necessary. © 2019 Law Office of Joseph A. Lopisi. All Rights Reserved.